Our fleet of modern boats bring seafood straight from the sea to be swiftly processed guaranteeing freshness. Only boats meeting strict standards of hygiene and fishing practices are chosen as suppliers to our factory. On arrival at the factory, the shellfish are carefully checked. 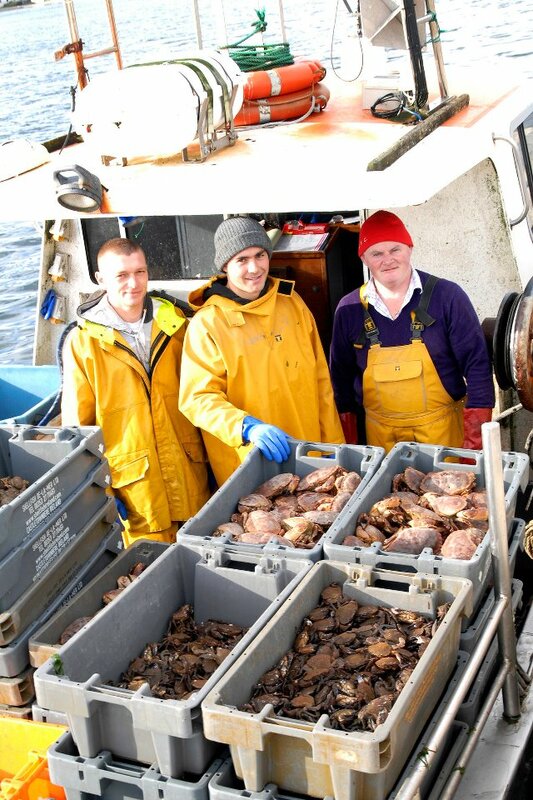 Only the finest quality, sustainable seafood is selected for Shellfish Ireland. Shellfish Ireland has a state-of-the-art traceability system ensuring full traceability from catch to consumer. Our customers demand timely delivery of premium fresh quality products, and we guarantee this by our own flexible distribution network and our ability to react and respond to customers’ changing needs. We supply directly to our domestic customers on a daily basis through our own fleet of temperature-controlled transportation and outsource our International supply to leading Irish freight companies, with whom we have built a strong and reliable relationship. Shellfish Ireland can assure 100% traceability for all our products from the fresh waters of the Atlantic to the customer’s plate. We guarantee this by ownership of our fishing fleet, production facility and transportation network. Shellfish Ireland is investing in Blockchain technology to give our customers additional assurance in terms of food safety and sustainability. This will allow our retail customers develop new and innovative ways of communicating with their customers about the freshness and origins of their seafood.